I had the good fortune of spending a couple of days at The Hermitage this week. On Tuesday evening, the Andrew Jackson Foundation premiered its new visitor film. It is a much more visually exciting film than the previous version, and it generally treats Old Hickory positively. On Wednesday, I returned to the site to witness President Donald Trump’s speech. The crowd was overwhelmingly pro-Trump, which was not surprising since almost every Republican member of the General Assembly attended. Several men, young and old, dressed in suits wore the now-famous red Trump hats. I’ve shared my thoughts on the Jackson-Trump comparison several times, so I won’t rehash them here. Interestingly, the president, who mostly read from a prepared speech*, alluded to the comparisons, saying that he knew how Jackson felt about being criticized. While standing in line for the restroom afterwards, two gentlemen behind me were commenting on Trump’s love of Jackson. 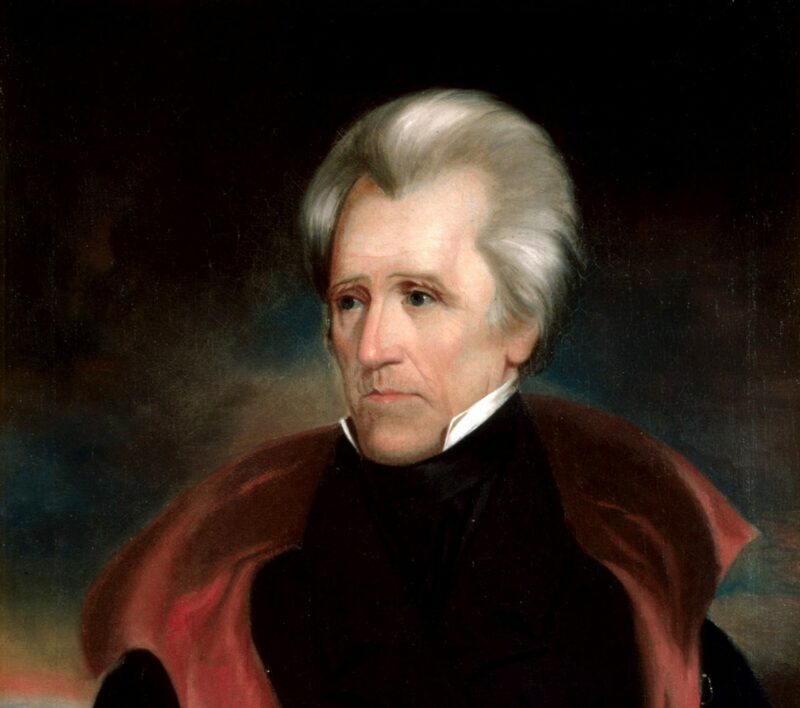 One of them boldly (and wrongly, according to Jon Meacham and good old common sense) proclaimed that Trump always loved Jackson and had been studying him for years, long before the 2016 campaign. I was surprised that Trump sounded tired and old. My colleague, Rick Bell, observed that it may be because of the small crowd (media estimates were 400, which seems high #fakenews) and the venue (open-air seating on the front lawn in front of the main house). Trump seems to feed off of the energy from larger crowds in larger venues; his speech at the evening rally in Nashville was much more enthusiastic and passionate. Since the speech was fairly banal, there’s not much more to say about it. Trump’s visit to The Hermitage and Nashville elicited a number of responses to his supposed similarities to Jackson, though. Betsy Phillips doesn’t think that Jackson would care much for Trump. Members of the Cherokee Nation denounced the visit, while others have stated that Jackson, a “monster,” should not have been honored, even by a president such as Trump. Given Trump’s controversial political choices and his embrace, however superficial, of Jackson, it appears that Old Hickory’s life and legacy will continue to be a point of interest over the coming years. Whatever I think of President Trump, I suppose I should be grateful for that. * My thanks to Marsha Mullin for sending me a link to the full text. The Little Magician Needs You!